This concept paper explores certain components that should be combined in the process of designing and developing derivative game. The proposed components include integration of pedagogy, elements of DGBL and ARCS Model in design and development which may be considered in deploying the DGBL approach into the learning of undergraduate calculus in the curriculum setting of Universiti Teknologi MARA Malaysia. 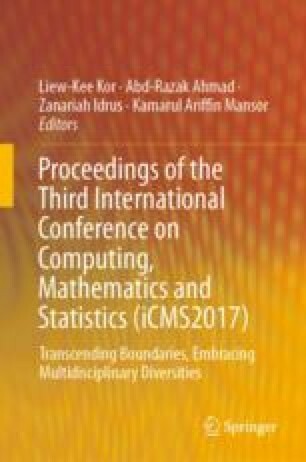 The implication of this study can be as a criterion to develop the derivative games and effectiveness of digital games as a motivational tool for students in order to explore and learn the conceptual understanding of differentiation related to function as stated in calculus education syllabus. This research is funded by Academic & Research Assimilation (ARAS) that is managed by the Research Management Institute, Universiti Teknologi MARA, Malaysia (600-RMI/DANA 5/3/ ARAS (0171/2016).